This section starts with Kundalini Yoga Master Teacher A -D. Stating with Adi Singh Khalsa. NOTE: Legacy Teachers are all of those early students of Yogi Bhajan who sat at his feet, who were personally chiseled by him, and who deliver his teachings today.These early pioneers of our Dharma were sent by Yogi Bhajan to teach Kundalini Yoga all over the world. They opened ashrams, led spiritual communities, and inspired people through their lifestyle and their devotion to Yogiji's teachings. 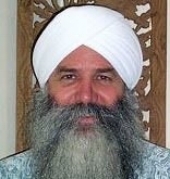 Adi Singh has been practicing and teaching Kundalini Yoga for over 30 years. He brings a vast knowledge of health, healing, and the physiological effects of Yoga. Amandeep Singh travels around the globe sharing the teachings of this ancient science known as Kundalini Yoga. He travelled to India and had the blessings to study from many teachers from the different Sikh traditions primarily from the Udasi Sikh tradition of Baba Sri Chand Ji and the Nirmala Sikh Tradition of Guru Gobind Singh Ji. This also led him to pursue his studies in a different field. He then did his MA in Comparative Studies in World Religions along M.Sc in Counselling from University of South Australia. Amandeep Singh is also a certified Kundalini Yoga Teacher (as taught by Yogi Bhajan). His sessions and classes guide participants though an experience of physical and psychological release so that they can know the delight and therapeutic well-being of this more then 5000 year-old practice. Amar Singh Khalsa started Kundalini Yoga in 1970 in Eugene, Oregon and found himself in Maha Deva ashram in Tucson, AZ, where he first met Yogi Bhajan. He started teaching Kundalini Yoga in 1971. He has a degree in music from the University of Oregon and toured and recorded with the Khalsa String Band and Singh Kaur and has worked as a dance accompanist and free-lance musician as well as an electrician and computer geek. He also participates, along with Sahib-Amar Kaur, his wife, in interfaith kirtans, and provides music for chanting and meditation where and whenever. Amrita has been teaching in NY City for 20 years privately, in centers and in health clubs. 3HO and 500 HR Yoga Alliance certified, she has taught at 3HO's winter and summer solstices, Millis Fall Festival and at venues such as Nu-Age and Pura Vida (Costa Rica) spas as well as workshops at yoga centers in the US and Canada. Since 1997, she has owned and operated Sewall House Yoga Retreat in northern Maine, which she operates summers with her husband, musician Kent Bonham. 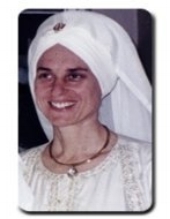 Amarjit Kaur Khalsa began practicing Kundalini Yoga in 1976, at the age of 22. She spent many years living in a 3HO ashram, a spiritual community dedicated to the practice of morning sadhana – rising before the dawn to practice yoga and meditation. She also worked as the main cook of the Golden Temple Conscious Cookery in Harvard Square, Cambridge. Amarjit has had the privilege of studying with many extraordinary teachers including Yogi Bhajan, the Master of Kundalini Yoga. She has taught Kundalini Yoga since 1980 in a variety of settings, including health clubs, yoga centers and universities. She received her certificate from the Kundalini Yoga Teachers Association in 2000. Amarjit is a teacher who brings a wealth of knowledge, experience and versatility to to each class she teaches. She is dedicated to sharing the powerful techniques of Kundalini Yoga to those individuals who are ready to receive them. Aradhana Singh and Sarb Nam Kaur Khalsa form a creative husband and wife team. They embarked on their lifelong love of practicing and teachingKundalini yoga in the early 1980's with Yogi Bhajan. In Espanola, New Mexico, they run a family business and serve in the Sikh community. Their son, Fateh Singh, studied yoga and Sikhism in India and now attends college. The family loves hiking, vegetarian cooking, RC airplanes, and writing spiritual poetry. Life's journey continues to bless them after many years of marriage ("the carriage unto infinity") and they are excited to serve as the Content Editors for Yogamint! Atma K. Khalsa, has been trained by the Kundalini Research Institute (KRI) and is a member of the International Kundalini Yoga Teacher's Association (IKYTA). She is an experienced registered yoga teacher (E.R.Y.T) with Yoga Alliance and and is a Professional Teacher Trainer in KRI Teacher Training Courses. Atma K. Khalsa has attended Women's Training Seminars for 20 years that teach women to live to their highest level of integrity, kindle their sacred self and live for each other. She has 25 years experience in Kundalini Yoga, meditation and vegetarian nutrition, and has served both Temecula and Murrieta through the Community Service Departments since 1992 teaching yoga. She writes yoga articles and helpful mommy and baby tips for magazines and local publications. She compiled the "Mommy & Baby Planner" approved by Southwest Healthcare, Temecula and Murrieta Community Service Departments and both Chambers of Commerce for distribution to new parents as a valuable resource. Awtar Kaur Khalsa has been living, studying, and teaching in Kundalini Yoga ashrams since 1972. She sat at the feet of Yogi Bhajan with a notebook, timer, and camera, prompting him to remark, "She has perfect notes." She is a senior teacher trainer and has taught throughout the United States and overseas. Awtar uses generous doses of humor to inspire her students to expand, both in group and private classes. Awtar has been married 30 years and her teenaged daughter is also a Kundalini Yoga teacher. She is the director of The Kundalini Yoga Center in San Francisco. Bibi Bhani has been practicing and Teaching Kundalini Yoga since 1970. She is KRI certified Level One teacher and also holds certifications in Conscious Pregnancy Yoga, and Radiant Child Yoga. She loves the depth and dimension that Kundalini Yoga offers and has made it her lifetime commitment to explore, master, and share this sacred science. She particularly enjoys working with pregnant women, new mothers, and children. Practicing KY during these crucial times helps instill a happy, healthy, holy lifestyle for future generations. Bibi Bhani is also a singer and musician who has recorded several CD's titled Amrit Bani and Union. To Sikhs around the globe, she is a revered "mother" and honored as an ambassador, good will and a harbinger of interfaith dialogue among religious leaders. Find out more on her page referenced above. Christ-Singh Khalsa studied with Yogi Bhajan since 1971. He is KRI Certified Kundalini Yoga Teacher, Yogic Therapist, PTSD Therapist, Lifecoach, Ayurvedic Nutritionist, Tibetan Energy Therapist ,and Professional OSHA trainer. Kundalini Yoga for Kids, Prisons, Business, Mental Health, Sat Nam Rasayan®, Mantras / Naad Yoga, Sikh Dharma Teachings. Dr. Khalsa has 35 years teaching experience as a Certified Yoga Instructor from the Kundalini Research Institute (KRI). He has maintained a daily practice of Kundalini Yoga for over 38 years. Dr. Darshan S. Khalsa is Board Certified in Acupuncture, Chinese Herbology and Oriental Medicine by the National Commission for Certification of Acupuncture and Oriental Medicine (NCCAOM). In addition, Dr. Khalsa is a certified BioSE Practitioner focuses on treating allergy-related conditions, immune dysfunction, digestive and endocrine disorders. Deva Kaur Khalsa met Yogi Bhajan in 1972, and found Kundalini Yoga gave her such a complete sense of inner stillness that she knew it was the way of the future. She then started her life long journey of studying with Yogi Bhajan and teaching this ancient, sacred science. Deva married her husband, Deva Singh and started teaching Kundalini Yoga in 1973, and began training KRI certified Kundalini Yoga teachers in 1996. One of her passions is Yogi Bhajan's transformational teachings for women, and she participates as a member of the KRI Teacher Training Executive Council, as well as the KRI Board of Directors. Deva Singh has taught and practiced Kundalini Yoga for over 30 years. His classes include his insight and experience into using the positive mind to clarify and manifest your goals in life. He has traveled to India several times and experienced life changing meditations at the Golden Temple. Kundalini Yoga has totally redefined all aspects of his life: family, business, spiritual, physical and mental. The science of Kundalini Yoga and meditation has enabled Deva Singh to help others change their lives for the better. Devi Dyal Singh is a Certified Kundalini Yoga teacher who first studied under Yogi Bhajan in 1970. Certified Teacher Trainer through IKYTA & experienced (E-RYT 500) Registered Yoga Teacher with Yoga Alliance. He mainly teaches at The Kundalini Yoga Center in Altamonte Springs Florida. and Oceanview Yoga and Body Works in New Smyrna Beach Florida. He has also taught Teacher Training programs at Omega Institute in Rhinebeck NY & Ghost Ranch in New Mexico. In addition, he has trained many corporate clients yoga based recovery and stress management techniques at LGE Human Performance Institute in Lake Nona Florida. He has also instructed Yoga & Meditation to clients at the Canyon Ranch at Gaylord Palms in Kissimmee, FL. Some of the corporate clients that he had instructed on these stress-management techniques include Van-Kampen Group, Citgroup International, Merrill-Lynch,Saloman Smith Barney, Pftizer, American Paper & AT&T. Dharam Singh brings a unique and earthy perspective to the Kundalini Yoga community that is inspired by broad exposure to Native American Shamanism, Tibetan Buddhism and Reichian Body-centered Therapy. Dharam Singh hails from NYC, where, as a child in the 60′s one could hear, on any given summer night, the rich rhythms and chants of Africa brought by immigrants from Cuba and the Caribbean blending with the sounds of Motown, R&B, and Jazz. He witnessed the role music and dance could serve, not only as a form of expression, but as a pressure relief valve for tensions. He spent 10 years doing radio with NPR in Fairbanks, AK, further expanding his knowledge and experience of an extremely wide range of music from many different cultures. Now, his passion for the transformative power of sound and music has found a place in the use of the Gong as a tool for deep healing. He has "gleaned" a great deal from, and studied with Richard Hite, Iasos, Yogi Bhajan, Ed Mann and Michael Bettine. Having walked the path of Sikh Dharma, with Yogi Bhajan, for more than 30 years he has come to more fully understand that sound and energy is the essence of the order of everything and that people can find peace and wellness simply through laying down, relaxing and listening. Dr. Khalsa, M.D. adopted the Sikh faith in 1981, and wears a distinguished full beard and white turban. Dr. Khalsa lives in Tucson, Arizona, and lectures and consults worldwide. Since 1993, Dharma Singh Khalsa, M.D has been the President and Medical Director of the Alzheimer's Research and Prevention Foundation in Tucson, Arizona, the original voice in the integrative or holistic medical approach to the prevention and treatment of memory loss. Dr. Khalsa graduated from Creighton University School of Medicine in 1975, and received his postgraduate training in anesthesiology at the University of California, San Francisco where he was chief resident. As chief resident, he conducted highly acclaimed research on anesthesia for cardiac surgery and obstetrical anesthesiology. He is also a graduate of the University of California, Los Angeles Medical Acupuncture for Physicians Program, and has studied mind/body medicine at Harvard Medical School 's Mind/Body Medical Institute. Dr. Khalsa is board certified in anesthesiology and pain management. In 1987, Dr. Khalsa established the first holistic pain program in the Southwestern United States at Lovelace Medical Center in Albuquerque, New Mexico. In 1990, he was recruited to become the founding director of the Acupuncture, Stress Medicine, and Chronic Pain Program at the University of Arizona, College of Medicine's teaching hospital in Phoenix. In this position, he became the first director of acupuncture in an American medical school. After founding the ARPF in 1993, he became the first physician to advocate a lifestyle approach to the prevention and treatment of memory loss, including Alzheimer's. He is among the world's leading authorities on integrative medicine, and has written extensively on a wide range of health and healing issues. Dr. Khalsa has been invited to share his work at workshops and seminars, as well as medical meetings, in the USA, South America, Europe, Monte Carlo, and India. In May 2003, Dr. Khalsa was invited to testify before the Congress of The United States of America about his pioneering work in the area of lifestyle influence on Alzheimer's disease, and called on Congress to fund a national education and outreach campaign designed to inform the public of the benefits of an integrative medical approach to Alzheimer's. At that time he also met with The Surgeon General, Vice Admiral Richard Carmona, M.D., M.P.H. At this meeting, Dr. Carmona stated: "Your work in the field of memory loss should now be considered mainstream." He spearheaded the groundbreaking research project carried out by the Foundation in 2004. In 2006, he became an Associate Fellow at the University of Pennsylvania's Center for Spirituality and the Mind and, in collaboration with Andrew Newberg, M.D. at the University of Pennsylvania, began a study of meditation in patients with early cognitive decline. My name means "The Princess Who Removes The Pain and Suffering." I was blessed to study directly with Yogi Bhajan, Master of Kundalini Yoga, and I have experienced for myself the transformative powers of Kundalini Yoga--expanding consciousness, patience, focus, and health. I am a Kundalini Research Institute (KRI) certified Kundalini Yoga Teacher, and I have taught Kundalini Yoga for Monterey Peninsula College and Cabrillo College Extension. Kundalini Yoga gives me a diamond mind--increasing my creativity and intuition so that solutions to problems manifest. I am bilingual (English and Spanish) and when someone wants it, my classes can be taught with simultaneous translation. [Yo soy bilingüe (Ingles y español) y cuando alguien lo solicite, mis clases pueden ser enseñadas con traducción inmediata al español. EkOngKar Singh Khalsa has taught and practiced Kundalini Yoga for the past thirty-five years and has been teaching in Harvard Square and in the New England region since 1988. Beginning in 1973, EkOngKar Singh was blessed with the privilege to study directly with Yogi Bhajan and spent nearly twelve years under his guidance at Guru Ram Ashram in Anchorage, Alaska. 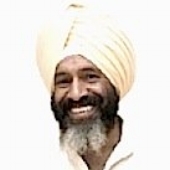 From 1996 until 2007, EkOngKar Singh served as Director of Guru Ram Das Ashram in Millis Massachusetts, a successful, intentional spiritual community founded in 1981, and as President of Sikh Dharma of Massachusetts, a position he continues to hold. Dedicated to the art and science of Naad Yoga and to the Shabd Guru, EkOngKar Singh incorporates the rich tradition of chanting, kirtan and sound current in all his classes and workshops. His professional life includes nearly twenty five years experience in real estate development and environmental affairs and he presently serves full time as Executive Director of the Mystic River Watershed Association.